First impressions are key in all aspects of our lives, and a smile is often the first thing people see when they look at a person. Many adults are concerned about the metal look of braces, and have the notion that braces are just for kids – but there is good news! Thanks to advancements in orthodontic technology our orthodontic specialist, Dr. James Urbaniak, can help our teen and adult patients achieve a perfect smile with hardly anyone noticing thanks to Invisalign. A Brand New You Awaits! 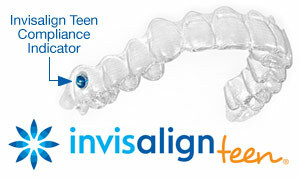 If you would like to find out if Invisalign is right for you or your teen, please contact us at our Littleton, CO office. One of our team members will work with you to find an appointment that fits best within your schedule to meet with Dr. Urbaniak. If Invisalign is not the best treatment option for you, we will be sure to discuss some of our other teeth straightening options with you, including modern metal braces and clear ceramic braces. We look forward to seeing you soon!